Raymond “Ray” Novak, age 94 of Gallatin, passed away February 28, 2019. Mr. Novak was born January 22, 1925 in Butler, PA. He is preceded in death by his parents, George and Catherine Tack Novak. He is survived by his wife of 68 years, Therese Szudy Novak of Gallatin, sons, Ray Novak (Karan) and Tim Novak (Mary Ellen); daughter, Maureen Patrick; grandchildren, Melissa Novak (Ryan), Allison Lucas (Mike), Michelle Novak, Gary Mehorczyk (Joy) and Aubrey Novak; great grandchildren, Sofia, Katherine, MacKenzie, Gehrig and Emma. 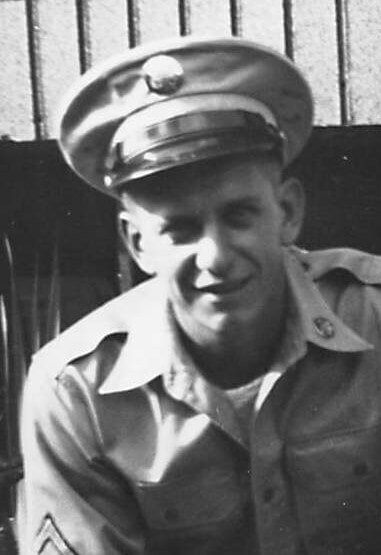 Mr. Novak was a veteran of the Korean War serving in the U. S. Army. He was a member of St. John Vianney Catholic Church and Bishop David R. Choby Knights of Columbus Council #10010. Funeral Mass will be celebrated 11:00 a.m. March 4th at St. John Vianney Catholic Church with Father Stephen Gideon as celebrant. Interment will follow In Sumner Memorial Gardens with Mel Harders, Jim Holleran, Joe Fertitta, Bob Safford, Richard Zimmer and Roger Stevens serving as pallbearers. Rosary will be Sunday, March 3rd at 3:30 p.m. with visitation to follow from 4:00-7:00 p.m. at Alexander Funeral Home & Cremation Center.